Firstly, thanks for this awesome mod! 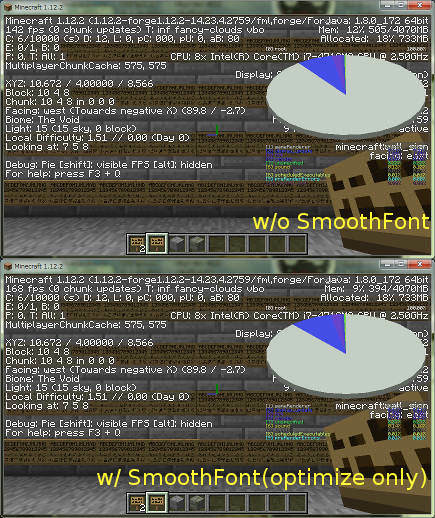 We've wanted to add custom font to our server modpack, and as adding fonts to modded client via resource pack is broken, this was our salvation. 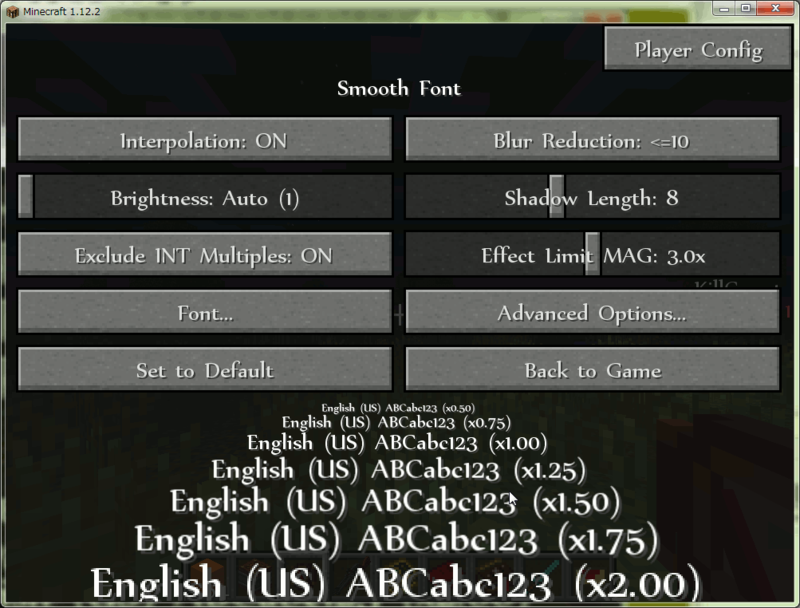 Okay, I can add setting to disable in-game config menu, or disable font-change button only. 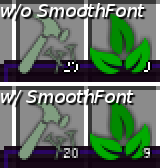 However this mod is client-side mod, it is hard to completely prevent users from directly editing the config file. Is that okay with you? That's great! Thanks for your willingness. And yeah, it's okay. I think noone will mess with this. v2.0-alpha-11 has the new options below. Please try it. 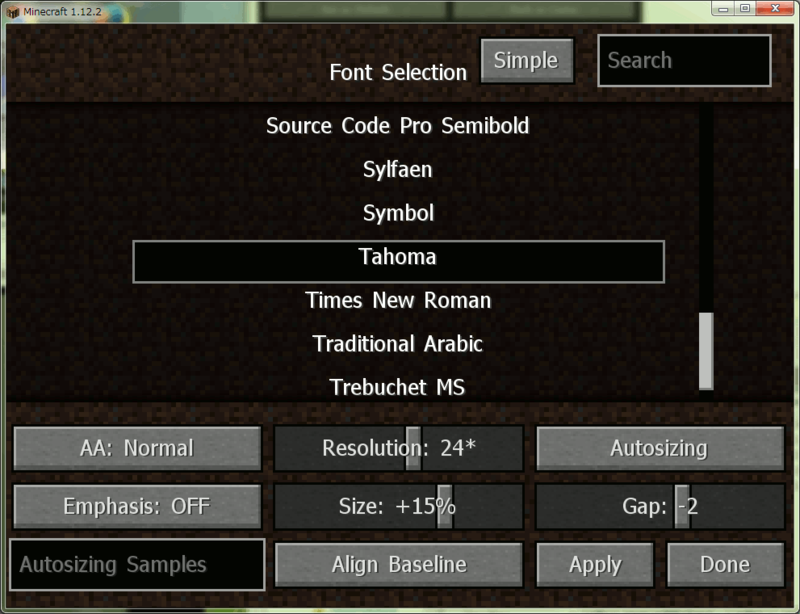 # Disable font selection GUI only. # Disable In-Game configuration GUI. This is Extremely Helpful! For me! I always have issues with Reading MC font in eneral! THEN- Eye surgeries- Anbd-UGH- Painfully hard to read.. This helps SOOO MUCH! >V<! With playing the game- and Reading signs and such in gerenal. Alot of games require- Readinbg LOTS of signs- and Things- and It's hard to keep up with! I''ve been looking for accessibility mods like this for awhile! I wish this website had some sort of Catagory for Cosmetic Mods- THAT you can use with vanilla servers- Or don't affect Vanilla play. Expecially going onto A place like Hypixel, Where your eyes kinda- Blare off into every direction trying to see all the text- and particles and sparkly things everywhere! Can't not work on "White Rabbit" ? Yes, the White Rabbit font obtained from the URL was usable. Please install the font to your operating system or place the font in the specific folder (see here). 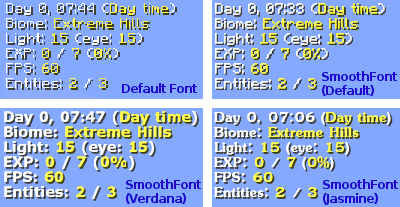 All font names in the font list are displayed with the same font which is currently applied. So that is the correct behavior. Why do some fonts not load? 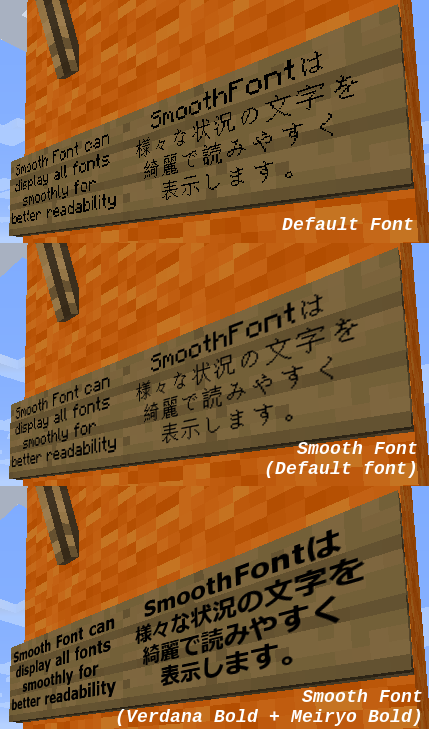 They are on the smoothfont list, but when I select them they do not load, they just use the defualt font instead. Some fonts load fine (Times new roman) while others wont (Odin ROunded). Ive tried converting them to ttf and stuff but no luck. Help? Hmm, my PC can draw Odin Rounded correctly with smoothfont. Please open new issue thread and provide following informations for further investigation. - URL where I can get that font which can reproduce the issue. - Did you use the font as a system installed font? or as an external font file? If the font is not free, sorry I can not investigate it. Yes, now researching for that purpose. 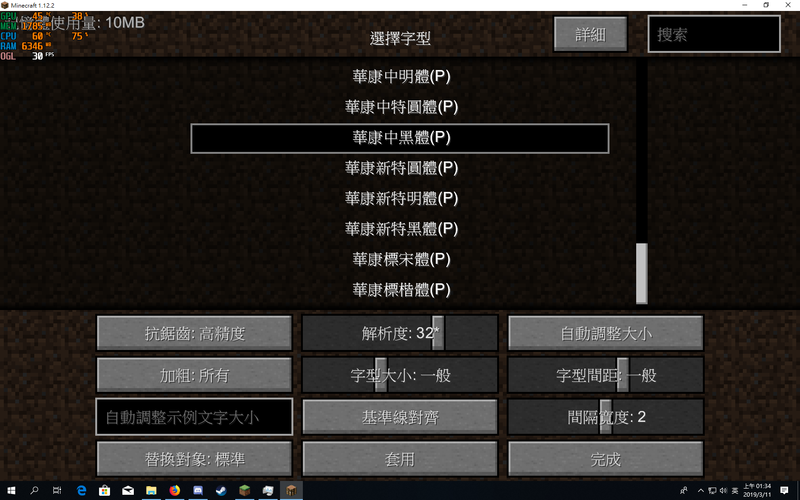 But, a lot of things were changed, so it seems to be hard to update to 1.13.2 in a short time. 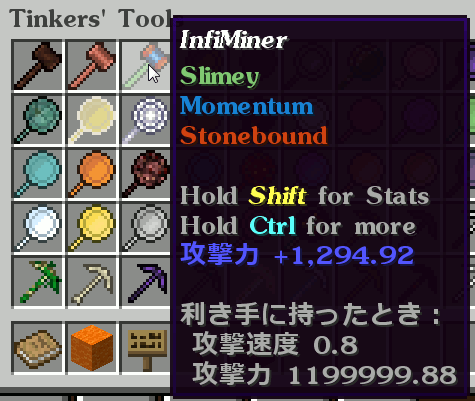 It may be skipped if 1.14 forge comes before it. But as soon as it is placed, it reverts. As far as I tested, these mods seem to work fine together. Did you install the colorutility mod to the server side too? 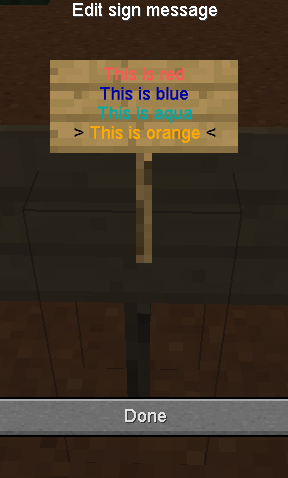 Same issue occured if the server side does not have the colorutility mod. Just added it to the server and it does appear to be working even though there are start up errors in the logs. I'll give it a go and see if it continues to work. :-) Thanks! [20:46:09] [main/WARN] [FML]: Found FMLCorePluginContainsFMLMod marker in ColorUtility-universal-1.0.4.jar. This is not recommended, @Mods should be in a separate jar from the coremod. [20:46:09] [main/WARN] [FML]: The coremod ColorUtilityCorePlugin (com.Axeryok.ColorUtility.ColorUtilityCorePlugin) is not signed!